Born 1961, in Rostov-on-Don Russia. In 1984, he graduated from the Ukrainian Print Academy where he studied technical print making and book design. Since the 1990’s his work appeared in numerous international publications including Nebelspalter [Switzerland], Itogi [Russia], and the Harvard Business Review [U.S.A.]. He founded the publishing studio Do Press which has released 35 artists books. 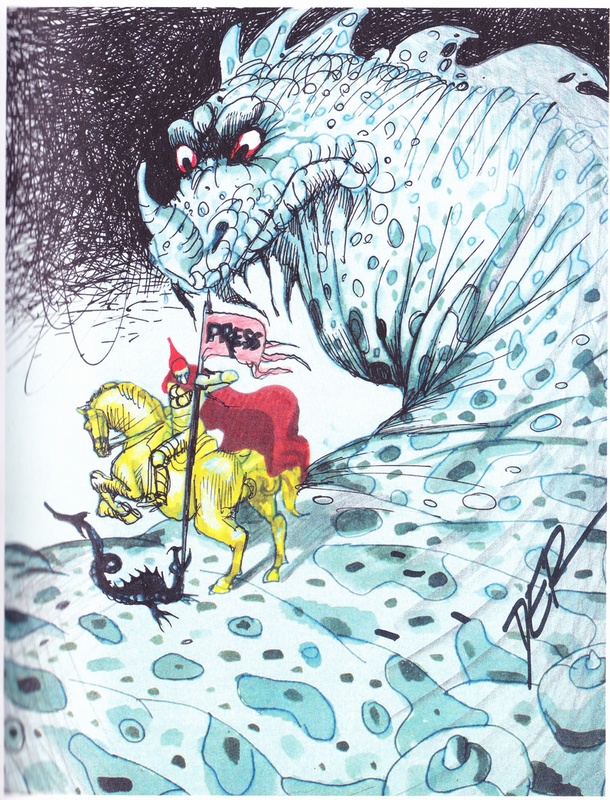 He has won over 60 prizes in international cartoon contests, and has been exhibited in the Cartoon Museum in Basel Switzerland, the Cartoon Museum in Warsaw Poland and the Museum of Cartoon Art in Tehran Iran. Since 2005 he has worked and lived in Montréal. Caricature . Cartoons Canada. Ed., Terry Mosher. Linda Leith Publishing, 2012: 89. 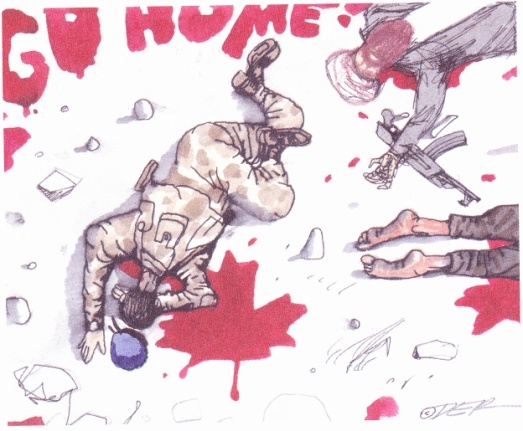 “Oleg Dergachov.” Portfoolio 22: The Year’s Best Canadian Editorial Cartoons. Ed., & Writ., Warren Clements. McArthur & Co. 2006: 149.